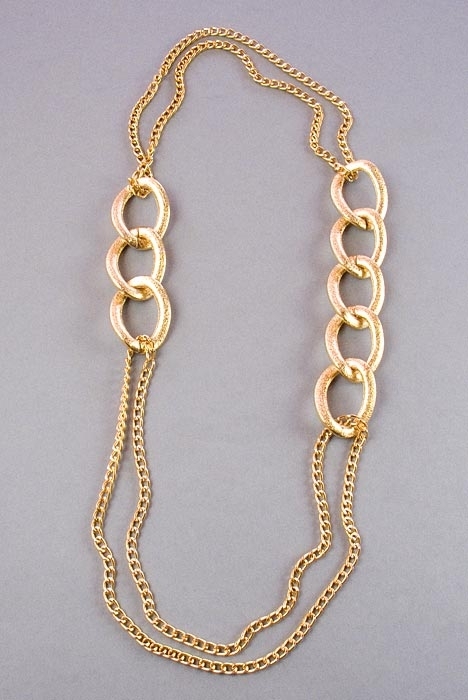 Long gold chain necklace by Amor Fati. 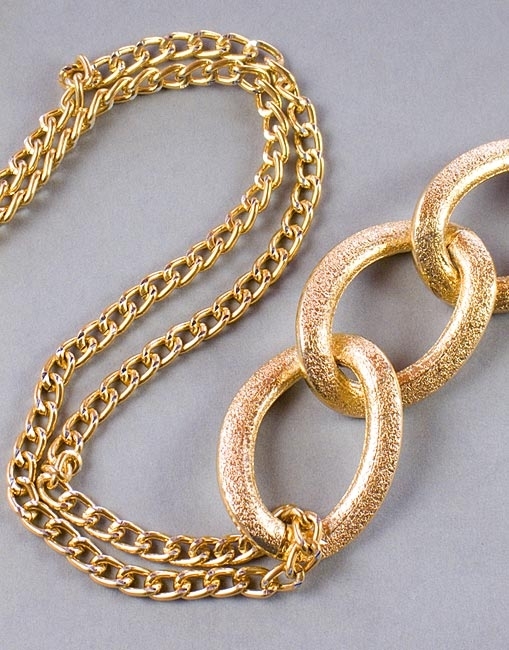 This ultra trendy necklace features eight 34x45mm links and silver diamond cut chains. 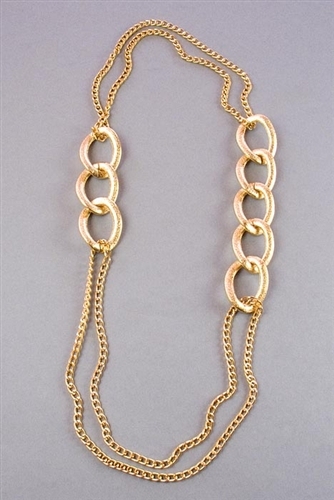 Necklace measures 96.5cm/38" in length.